The GOVERNMENT OF GREENLAND, QAASUITSUP MUNICIPALITY and REALDANIA hereby invite interested parties to submit applications to prequalify for participation in an international competition for the design of a new icefjord centre at Ilulissat on the west coast of Greenland. The centre is to accommodate the large number of visitors who each year come to see the icefjord and its unique natural surroundings. The competition is a design competition that may be followed by a negotiated procedure. The competition promoters intend to select two or three winners of the design competition and to invite them to participate in a negotiated procedure. The contracting authority has preselected three teams for participation in the competition and will subsequently select up to three additional teams on the basis of this prequalification round. This invitation is open to architects collaborating with landscape architects. Once the architectural consultants have been selected, they will have to select their engineering consultants. The selection of an exhibition designer is not part of this invitation to tender. Ilulissat Icefjord is located on Disko Bay on the west coast of Greenland, 250 km north of the Arctic Circle. The icefjord is an area of outstanding natural beauty where visitors can see one of the world’s most active calving glaciers at close quarters, and where global climate change is spectacularly evident right in front of their eyes. In 2004 the icefjord at Ilulissat was placed on the UNESCO World Heritage List because of the area’s unique natural scenery and outstanding glaciological features. 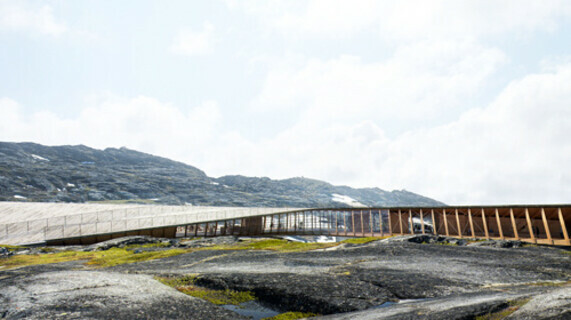 This unique place in the magnificent Greenland landscape attracts great attention and interest from people all over the world, and the Government of Greenland keenly wishes to be able to protect the site while at the same time presenting it to visitors. The future icefjord centre is to be a local and international meeting place for tourists, climate researchers, debaters and official guests from all over the world. 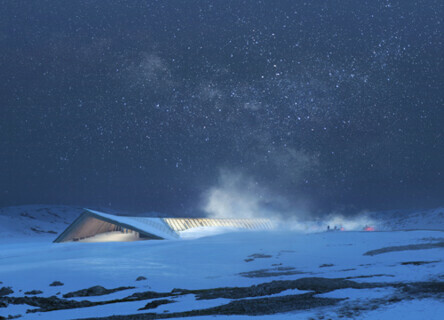 The new centre will be a gathering point for political debate on global climate change and a destination for tourists who are attracted to the dramatic and distinctive icefjord scenery. The centre will also focus on Greenland and the cultural history of its people. People have lived in harmony with the icefjord for 4400 years, and fishing and hunting remain important activities in the area. 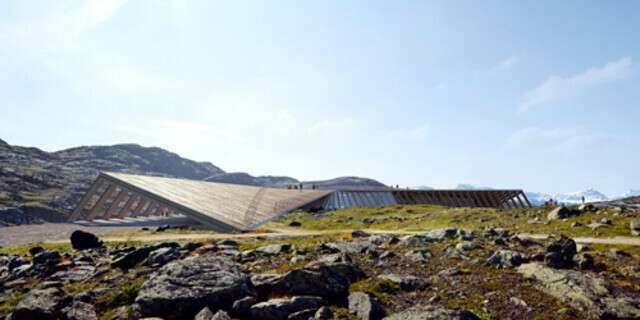 The design competition concerns building design and landscaping but not the actual exhibition design of the icefjord centre. 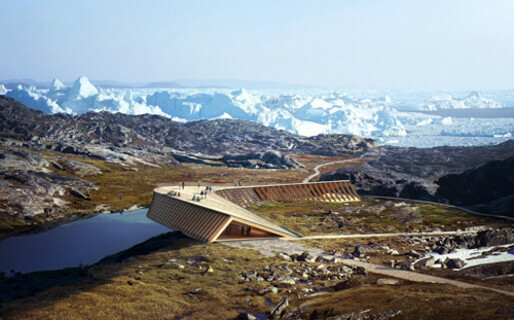 The new centre is to be located between the town of Ilulissat and the icefjord. It is to have a gross floor area of about 800 sqm, and the ambition is to build a centre that is as sustainable as possible given the latitude of the site. 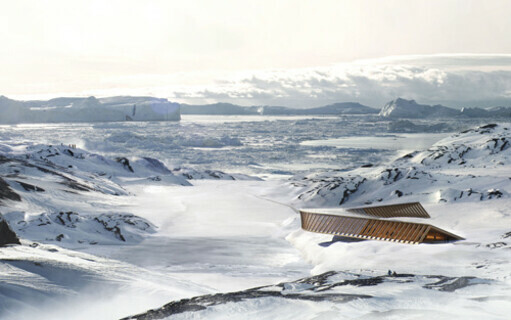 Competition entries are to take into account in particular that transporting building materials to Ilulissat poses a challenge because of climate conditions, the size of shipping containers, the transport times involved and the cost of delivery from various continents.